Despite it being a snow-flecked Tuesday afternoon in the middle of January, Tilted Barn co-founder Matt Richardson and his brother-in-law, Joel Littlefield, are hard at work. When I pull up onto the brewery’s secluded yet expansive property in Exeter, Richardson takes a quick break and beckons me inside a quite literally tilted barn (which I’m later assured is, wonky ceiling beam not withstanding, entirely safe and sound). Two sweet pups — black and yellow Labradors by the names of Tupelo and Summit, respectively — greet me with enthusiastic tail wags at the door while Littlefield, in the middle of fitting together a metal storage shelf, waves hello from the floor. Richardson leads me past the pile of tools and behind a large wooden bar toward a backroom that’s lined with tanks and hazy with the aroma of yeast and fermentation. Fiddling with a knob on one of the tanks, he says he hopes that I don’t mind if he works while we chat. I couldn’t think of a more perfect setting. When the property was purchased back in the ’50s, farming was never intended to be the family’s primary source of income, but rather a hobby. The space was used as both a metal and a woodworking shop as well as for raising animals and growing and selling Christmas trees. But before Tilted Barn’s claim to fame as little Rhody’s first farm brewery, Richardson and Littlefield were already quite the pioneers. The duo got their start by establishing the state’s first commercial hop farm, known as Ocean State Hops, in 2007. Although I’ve always tended to enjoy hoppy beers because of their characteristically bitter taste, I admit I know next to nothing about the legendary brewing plant. While Ocean State Hops was successful during its seven years of operation, Richardson and Littlefield were all too aware that hop farming was an awful lot of work — especially for a secondary job — with very little return. They eventually came to the conclusion that they needed a change. While a couple more breweries popped up by 2014, Richardson found that none of them filled the void for the types of craft beer he preferred. So he decided to fill the void himself, leaving Ocean State Hops behind in favor of opening a brewery. But while Richardson, a soils major, and Littlefield, a horticulture major, had some experience to back their hop farming, brewing was an entirely new venture. “We were completely self-taught; there was a lot of reading and experimenting in the beginning,” Richardson says with a laugh. But their hops knowledge worked out in their favor. Instead of sharing the homegrown hops with others, they used them in their own brews, establishing themselves as an IPA-forward, farm-to-pint brand. 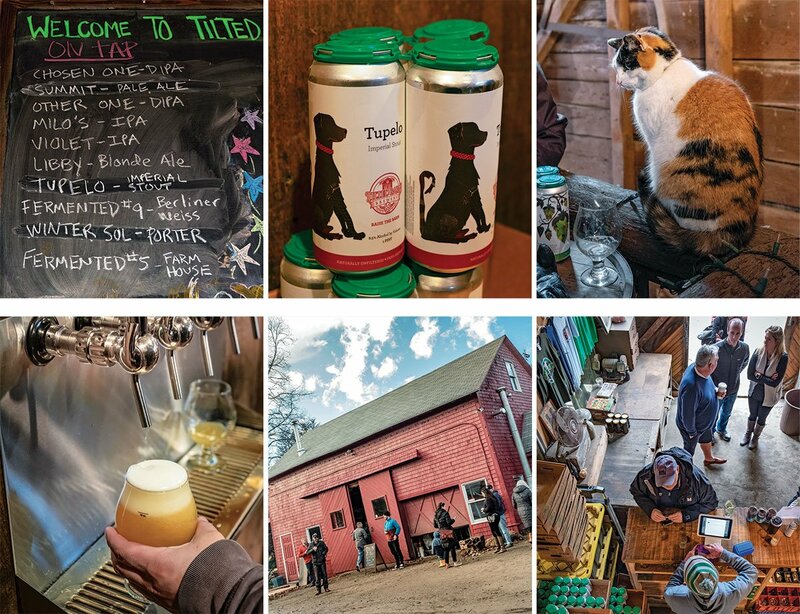 Tilted Barn’s most popular and most requested brews have always been their double IPAs — especially the aptly named “The Chosen One” — but they don’t limit themselves and brew delicious brown ales, red ales and blonds. Moreover, they regularly use their farming backgrounds to produce seasonal drafts, mixing in homegrown, seasonal ingredients like pumpkin and spruce tips. But does the brewer have a favorite? And while some breweries have a flagship brew that’s always on tap, Tilted Barn likes to keep more of a continuous, equal rotation of all its beers. Richardson explains that it takes about two weeks, give or take, to brew each batch of beer, which involves a constant cycle of emptying the tanks, canning the contents and then refilling them with a new variation. This ensures that in addition to a good number of beers on tap each week, the brewery always has at least two canned beers available for purchase. The demand is real, though. 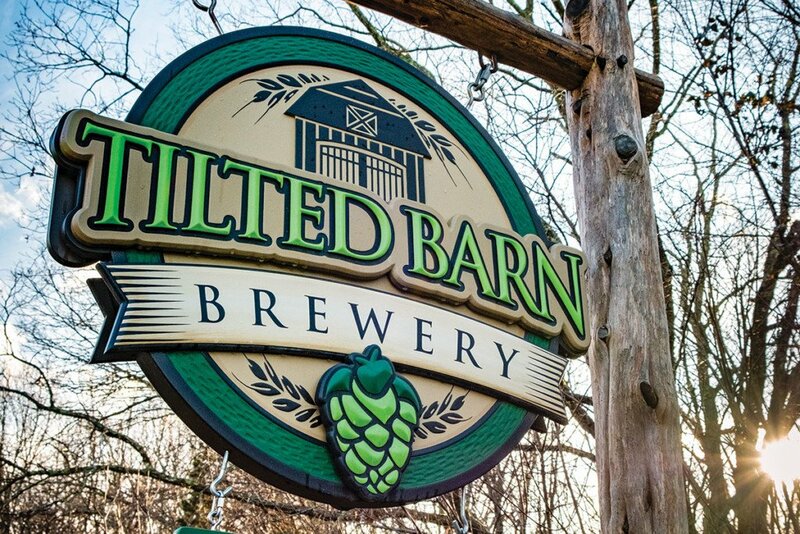 With their beer only available on tap at select restaurants or when purchased directly from the maker itself, Tilted Barn fans (of which there are many) take full advantage of the brewery’s limited hours. There are some plans in the works to up the beer count, thanks to the recent acquisition of two new foeders, a.k.a. large wooden vats that will allow the brewery to store and age beer for months at a time. In fact, Richardson tells me that the beer being put into the foeders around the time of our interview should be ready to debut not long after this article is published. Top, left to right: From double IPAs to porters to blond ales, Tilted Barn cycles through a regular rotation of its beers on tap each week; each label is hand drawn and designed by co-founder Kara Richardson; Roast Beef, the cat, is the brewery’s resident “Keeper of the Barn.” Bottom, left to right: Tilted Barn is open to the public for pours on Fridays from noon to 8 p.m. and Saturdays from 1 to 4 p.m.; Tilted Barn got its name because, you guessed it, the historic barn that houses the brewery is a bit tilted; Tilted Barn is almost always packed with loyal customers. Photography by Chris Vaccaro. But don’t fret; the cans aren’t going anywhere. “Have you seen them?” he asks. When I shake my head, Richardson leads me out of the brewing room and back behind the bar area. He points above us to a shelf displaying a dozen or so colorful cylinders. He takes down a can labelled “Fermented” and shows me how the lever on the base of the fermenter rendering is actually a button. 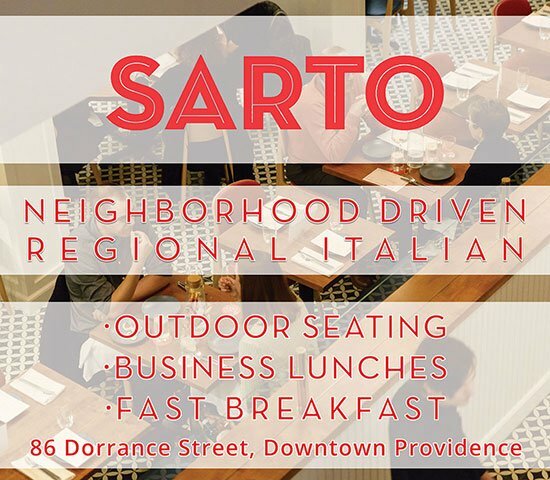 In addition to constantly churning out new and innovative labels, Richardson tells me his wife and co-owner also handles a lot of the behind-the-scenes work, including sorting out the rotating food truck schedule throughout the summer. Speaking of, I want to know: Do they realize how cool their parents’ jobs are? Left: Matt Richardson co-founded Tilted Barn with his wife, Kara, in 2014. Center: You can expect to find homemade candles, colorful T-shirts and more in Tilted Barn’s on-premises gift shop. Right: Tilted Barn not only grows Christmas trees to sell during the holidays, but also uses spruce tips, as an ingredient in some brews. Photography by Chris Vaccaro. Luckily, Richardson can take the heat.